Republican Rep. Rob Bishop of Utah is no admirer of how The Antiquities Act of 1906 allows presidents to unilaterally create national monuments. The U.S. House Committee on Natural Resources chairman, now in his seventh term in Congress, has been unsparing in his criticism of the act and President Barack Obama’s uses of it. For those who oppose the acquisition of land by the federal government, Bishop, who will lead a field hearing in East Millinocket on Wednesday about a proposed national monument, is a champion. For those like the Center for Western Priorities, which describes itself as “a nonpartisan conservation and advocacy organization,” Bishop is a nemesis. 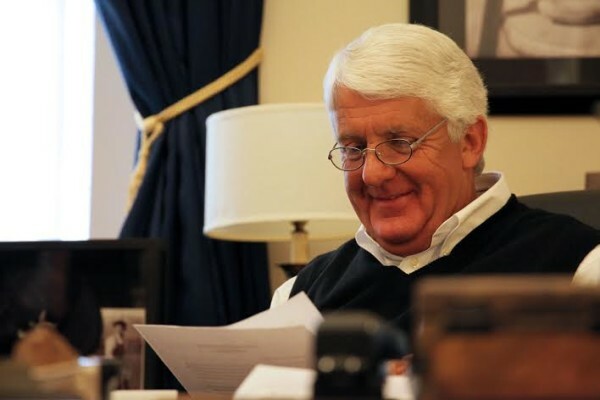 “For those of us who live in the West, Rep. Bishop’s position on America’s public lands is well known: he doesn’t like them and will do virtually anything in his power to erode America’s public lands legacy,” the group posted on its website. The 64-year-old got beyond sound bites in a telephone interview with the Bangor Daily News on Thursday to explain his philosophy pertaining to national monuments and parks — he says he likes them, if they’re created through Congress — and what he hopes to accomplish with his committee’s field hearing at the East Millinocket town office. Q: Why don’t we just start right in. Please describe how you became interested in serving on the Natural Resources Committee and what your role is as chairman. A: Well it’s because of geography if nothing else. Almost 70 percent of my state is controlled and owned by the federal government. So every time you move around you run into federal land management. So, for somebody in the West, it becomes life and death to become part of this particular committee because it’s so impactful. The federal government owns one-third of America, which is amazing, but it’s almost all in the West. Q: Let’s talk for a second about how the Natural Resources Committee is going to function [in East Millinocket] given that you are a devout opponent of the monument itself. How should the public consider it? Should they consider it impartial? A: Well, actually the premise was a misstatement in the first place. I have never been opposed to any kind of monument if you do it the right way, and that means it has to be done through legislative procedure. The legislative process is the only way in which people get some kind of input. If you just do it by the agencies, the executive branch, people are cut out of that. It goes back to the 1900s with the Antiquities Act, when they were trying to have everything done by experts and you avoid that nasty element of politics. But it’s through politicians that people’s voices are heard. Q: There are a lot of people up here who feel powerless in this whole process because they’re wondering what weight their voice will have with the president. What weight will your committee have with the president as far as you know or as has been demonstrated so far? A: The president will do what the president will do. We will try and show light on it. The sad part is the administration, and I wish I could confine it just to this administration, but it goes back several administrations unfortunately — Bush II and Clinton and Carter — all of them have used the Antiquities Act to push through things they want to do despite local opposition. What we are attempting to do is illustrate that there are other voices out there, and look at how everybody can have a chance to be heard in the process. That doesn’t happen when the executive branch goes out on their own. Q: You’re opposed to the president having this kind of power because it shuts out the people’s voice. Are there other reasons for opposition to the president having the Antiquities Act power that you’ve described? A: Well, first of all, it’s a legislative function. If you believe in the Constitution, the function should not have been blurred in the first place. Secondly it was used sparingly when it was passed in 1906. I think in all four terms of President [Franklin] Roosevelt, he only used it three times. And many presidents haven’t used it at all. Bill Clinton used it like 20 times in his last year. So it has been abused in recent administrations. The Antiquities Act actually sets out three specific criteria before it can be used once again. This administration has ignored those criteria. Q: I assume you’re going to use Congressman Poliquin’s listening session immediately after to meet with organizations or individuals outside the hearing. Will there be other things that you folks will be doing while in town to get a better feel for this issue? A: Congressman Poliquin becomes the key element as the local representative. He’s going to help bundle all this kind of information to us. And that’s what should be done. That’s why Congress doing this role creates a much better process than the president doing it. Q: How would you describe the effect of national monuments and parks on most local economies? A: I can’t do a one-size-fits-all. All I can do is a couple of them. One national monument that was made through the Antiquities Act in my state has been devastating to the local economy. Even though there are studies out there that say it’s wonderful, those studies are really skewed in their information. The data they’re using is pretty much biased. The county in which Grand Staircase-Escalante National Monument is — it was created by Clinton arbitrarily — is suffering significantly. They are at the point now where the school district is going to have to shut down some small rural schools and force kids to take a couple-of-hour bus ride one way. And, to be honest, a great deal of that is because of the impact of that monument. And those issues have never been considered. In fact, that goes to the entire process, and that’s why one of the reasons why the Antiquities Act is so worrisome. That if you’re doing this, you’re changing the way land is managed. You’ve changed the outcome. For example, in Utah we have school trust land. Sections that we’re given specifically for funding education. President Clinton and his staff didn’t even know what a school trust land was when they created a monument. We are still 20 years later trying to work out the details of how we can transfer those trust lands so they can be used. And the other problem that is huge that I think most people don’t realize, is education funding is harmed by the amount of federal land that there is. So if you look at the states in the West that are public-land states — you know, the ones where most of the [federal] land is versus those in the East where only 4 percent is … . In the last 20 years, public education funding has grown by 68 percent in the East, 35 percent in the West. It’s a 2:1 disparity. We have a hard time funding education specifically because of the way the lands are administered out of Washington. It hurts kids. And that should be a consideration if you’re talking about expanding anything or creating a different scenario. It has implications. If you’re going to expand into parks, or expanding parks, it comes at a cost. If you’re taking land off the tax rolls, it comes at a cost. And all that should be discussed and considered before any of these announcements are made. And that’s the problem I have with the Antiquities Act and this administration’s use of it. They don’t consider any of that. That’s crucial for a local community. Q: What are some examples in monuments in Utah that have failed or have succeeded? A: Well the national monuments that were created through congressional action, as well as parks — all parks have to be created through congressional action — have generally been successful. The ones that have been done unilaterally through the Antiquities Act, well, as I said, 20 years later we’re still trying to work out some of the details that should have been worked out. Like I’m actually trying to create a national monument in the state of Utah and I’m also trying to expand one of the parks in Utah, but we’re doing it legislatively, so that these issues are worked out ahead of time. I say if you do it the right way, you solve the problem. Most of the Antiquities Act designations by this administration don’t do it the right way. Q: When a national park or monument is created, how much weight should the opinions of those outside their immediate vicinity be given? A: Everyone who is going to be impacted by it should have a decision. I actually think those who are living close to the area should have the greatest impact: They should be given a great deal of say in how things are taking place. It’s not necessarily that public lands are bad and it’s not because Washington is incompetent or malicious. They own one-third of America. It’s just too damn much land to manage effectively and efficiently. That’s why decisions on how land is managed and how land is used made in the local level are always going to be superior to those that have to come out of the Department of the Interior back here in Washington. It’s just a matter of distance and size and there’s not an economy of scale when it comes to managing public land. Q: How much time have you spent in national parks or monuments and what are they like typically? A: We have a whole lot in Utah, so obviously you can’t drive through the state without going through a national park or a national monument. In a state like Utah, where 70 percent is owned by the federal government, the goal has always been that there should be multiple uses, but there should [also] be a primary use of the land. Sometimes that gets blurred by people in Washington. And that’s why I don’t like people in Washington making decisions for Utah, and that’s why people in Maine should be making decisions for how public land is used in Maine. Q: Have you ever visited Maine before? Q: How would you address the budget deficit of the National Park Service? A: It’s a significant problem and it’s got to be addressed. That’s why just creating more land without taking that into effect has a negative impact. The park service has a [nearly] $12 billion maintenance backlog. And the last time they got a big boost, I think instead of putting it into maintenance they actually put it into salaries. I do have a bill in for this that I like which is trying to create a new revenue stream for the park service, and also to partner with the private sector so we can actually get more money coming in — specifically to come up with projects that are part of this maintenance backlog. But we have to do things differently. What we have been doing over the last 20 years does not work. And that’s why making adjustments to land, you’ve got to consider that factor. And just adding more stuff has an impact not only on the local economy but also I guess nationally because they have to pay for a maintenance backlog. We’re not funding what we’re doing. Adding more stuff to it is problematic. Q: That leads to another question. One of the fears among people who oppose the monument is of an ever-encroaching federal authority and a bureaucracy that would ignore the wishes of the people closest to the monument. What is your reaction to that concern? How would you assess National Park Service’s responsiveness to its neighbors generally or specifically? A: It’s a legitimate concern and it has significant issues to it. Like I have seen park service directors sit in my office and say they have no impact on anything outside of the boundaries of their park. But then when the Keystone Pipeline debate was going on they wrote opposing the pipeline, saying it would have an impact on their parks, but the closest park was like 30 miles away. And they now start talking about viewshed and the sound shed and the other one — which is really unique; I don’t know what it means — but smell-shed. A: Yeah. I don’t know what the hell that means. But they’re concerned about it. Which simply means we have a propensity with this park administration and this administration of the park service to expand their control outside of their boundaries. And you simply can’t do that. That’s what boundaries are there in the first place for. They’re not some nebulous thing that’s just an advisement. And that is a real problem. And it’s gotta be solved in some way. And the park service has to come to grips with [it]. Correction: A previous version of this story incorrectly stated that Rep. 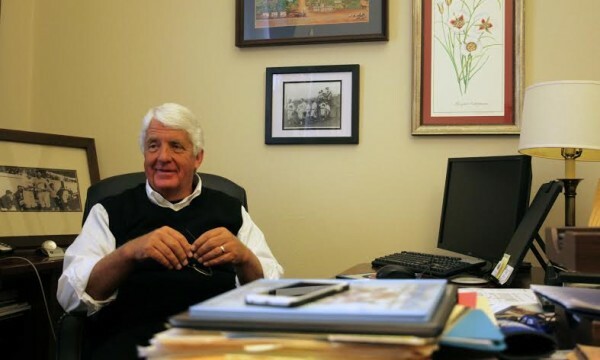 Rob Bishop is 63 years old. He is 64.